Download any of the items listed below absolutely FREE. As an added bonus, you’ll be opted in to receive valuable weekly tips on successful officiating and updates from our website. Go Beyond the Basics. Every situation in a Baseball game has basic requirements to officiate it correctly, but there is always more to learn. Advice and guidance can fine tune your skills, increase your accuracy and make calling any situation easier. Each week for the next 8 weeks we’ll send you baseball umpiring tips that won’t overload you, but will make you better and more prepared for the upcoming season. 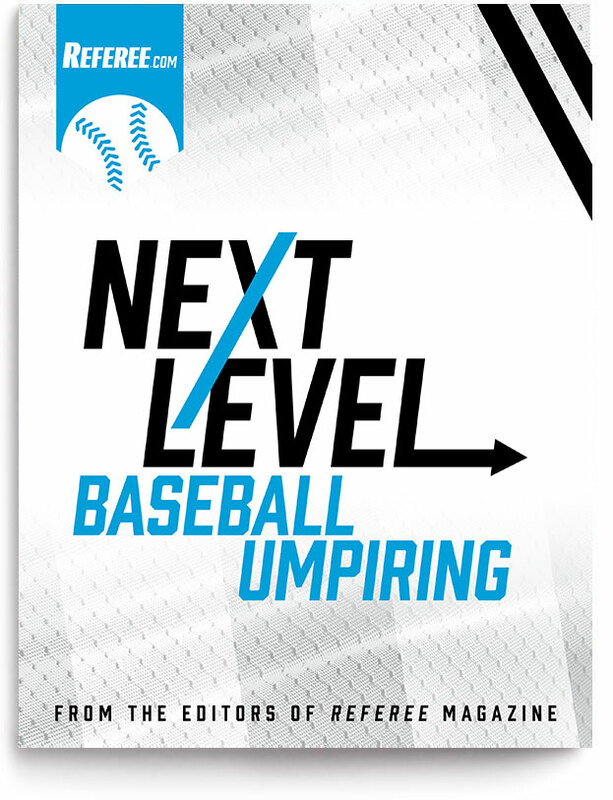 Enter your name and email address to start Next Level Baseball Umpiring 8-Week Free Email Series and join the Referee.com email list to receive valuable tips and officiating related information. Go Beyond the Basics. Every situation in a softball game has basic requirements to officiate it correctly, but you can move beyond them. Advice and guidance can fine tune your skills, increase your accuracy and make calling any situation easier. 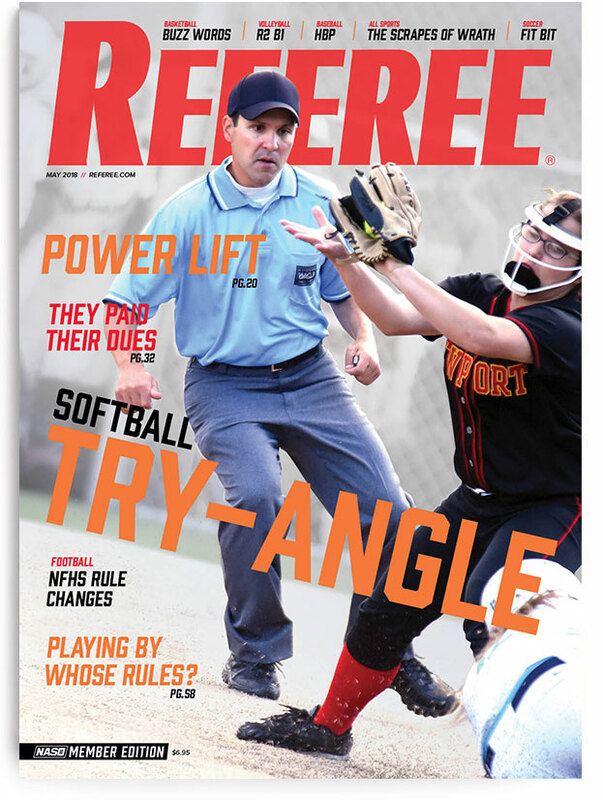 Each week for the next 9 weeks we’ll send you softball officiating tips that won’t overload you, but will make you better and more prepared for the upcoming season. 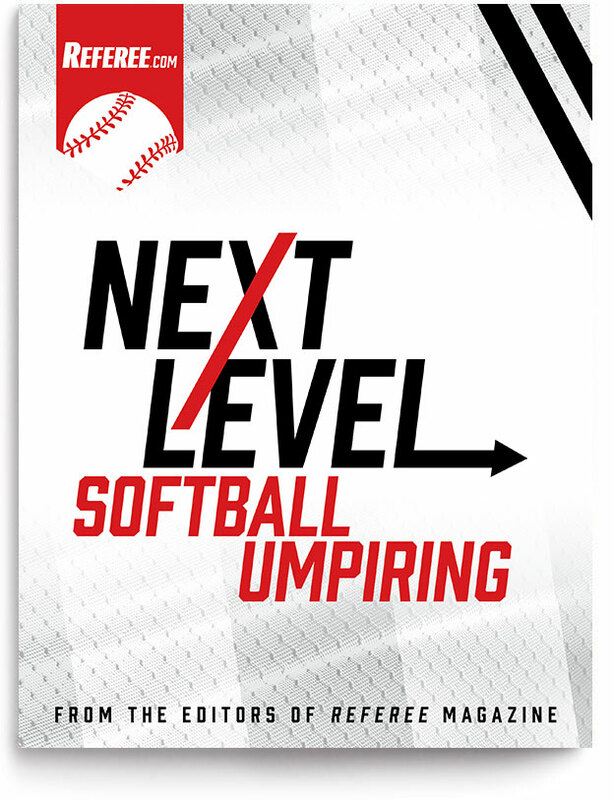 Enter your name and email address to start Next Level Softball Umpiring 9-Week Free Email Series and join the Referee.com email list to receive valuable tips and officiating related information. 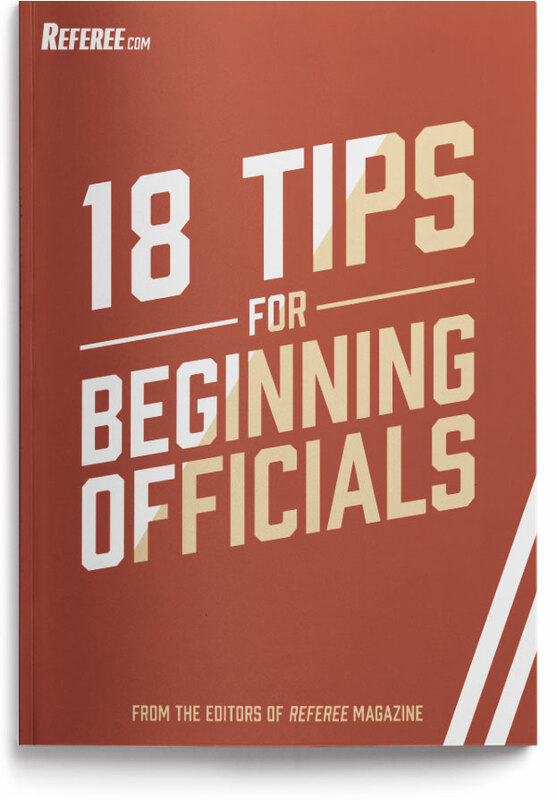 Referee’s editors have pulled together 18 of the most useful tips to get you thinking right and prepared to succeed your first time out. You go to meetings and study the rules but when game time approaches it’s your responsibility to get yourself ready. Quizzes based off of official rules and are included to help officials test their knowledge. Go Beyond the Basics. Every situation in a basketball game has basic requirements to officiate it correctly, but you can move beyond them. Advice and guidance can fine tune your skills, increase your accuracy and make calling any situation easier. We’ve collected some of the best tips & techniques we could find on every part of officiating basketball into a weekly email series that will keep you thinking basketball all the way until the season begins. Each week for the next 10 weeks we’ll send you basketball officiating tips that won’t overload you, but will make you better and more prepared for the upcoming season. Enter your name and email address to start Next Level Basketball Officiating 10-Week Free Email Series and join the Referee.com email list to receive valuable tips and officiating related information. Go Beyond the Basics. 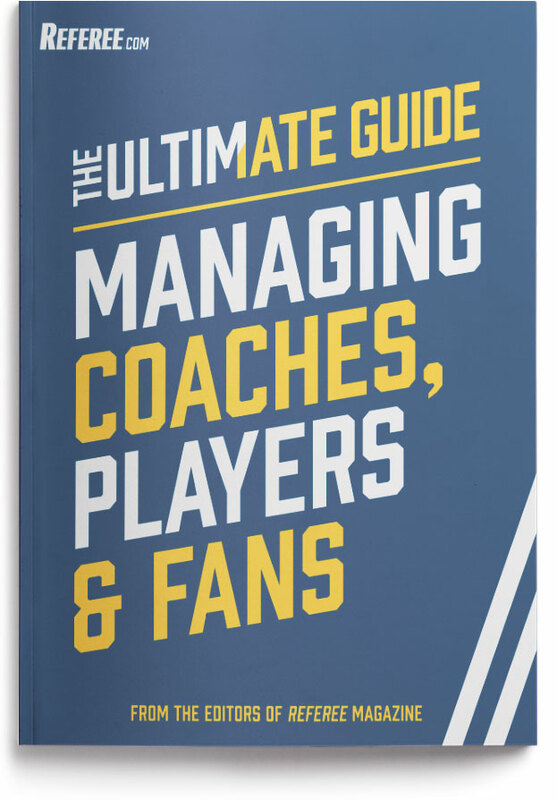 Every situation in a football game has basic requirements to officiate it correctly, but you can move beyond them. Advice and guidance can fine tune your skills, increase your accuracy and make calling any situation easier. 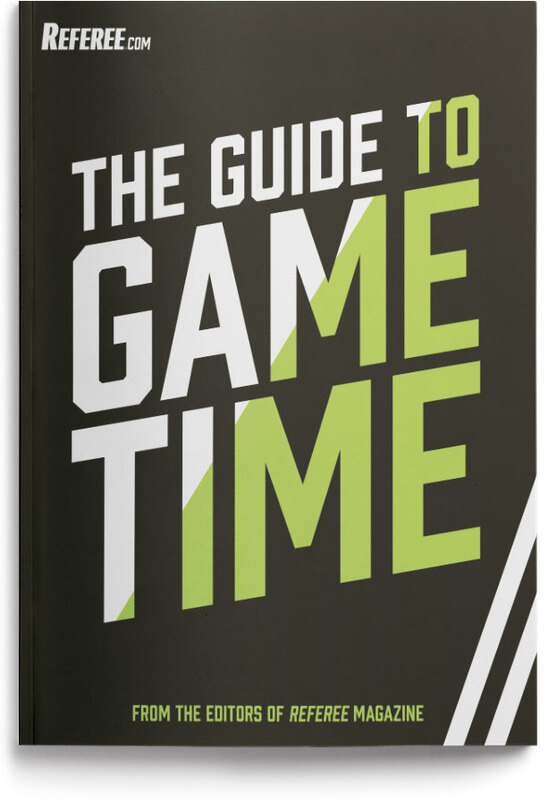 We’ve collected some of the best advanced tips & techniques we could find on every part of officiating football into a weekly email series that will keep you thinking football all the way until the season begins.e beyond them. Advice and guidance can fine tune your skills, increase your accuracy and make calling any situation easier. Each week for the next 12 weeks we’ll send you football officiating tips that won’t overload you, but will make you better and more prepared for the upcoming season. Enter your name and email address to start Next Level Football Officiating 12-Week Email Series and join the Referee.com email list to receive valuable tips and officiating related information. To be a successful umpire, you need to keep your head in the game. That’s why we’ve collected some of the best umpiring tips & techniques we could find into an email series that’s a great way to get your mind ready for the season. 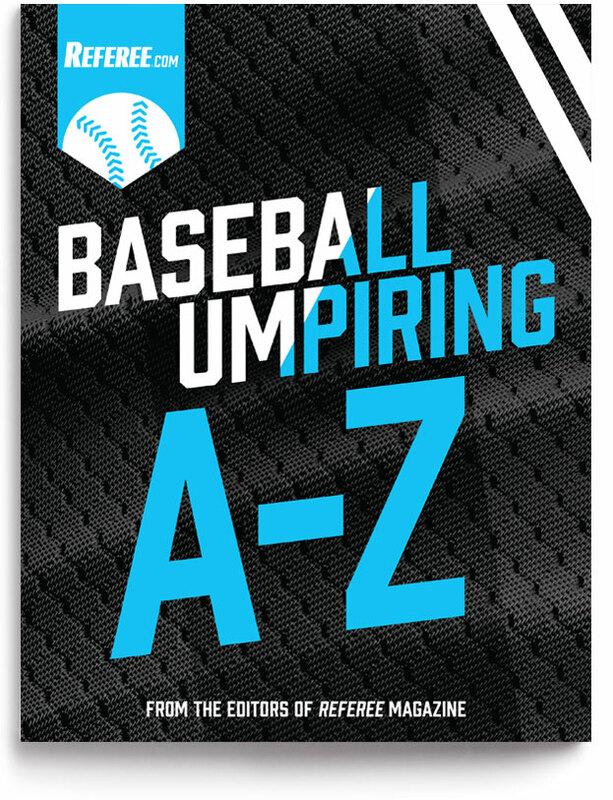 Each week for the next 13 weeks we’ll send you baseball umpiring tips corresponding to a few letters of the alphabet. Just enough to get you thinking baseball, but not overwhelm you. 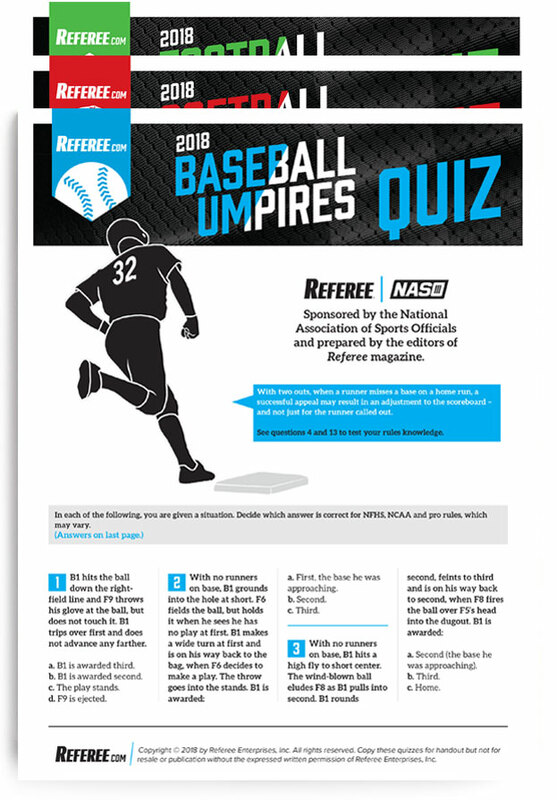 Enter your full name and email address to start Baseball Umpiring A-Z email series and join the Referee.com email list to receive valuable tips and officiating related information. Officiating football isn’t easy. Success requires dedication and concentration… you can’t phone it in. That’s why we’ve collected some of the best tips & techniques we could find into an email series that won’t overload you. Each week we’ll send you football officiating tips corresponding to two letters of the alphabet. 26 letters = 13 weeks. 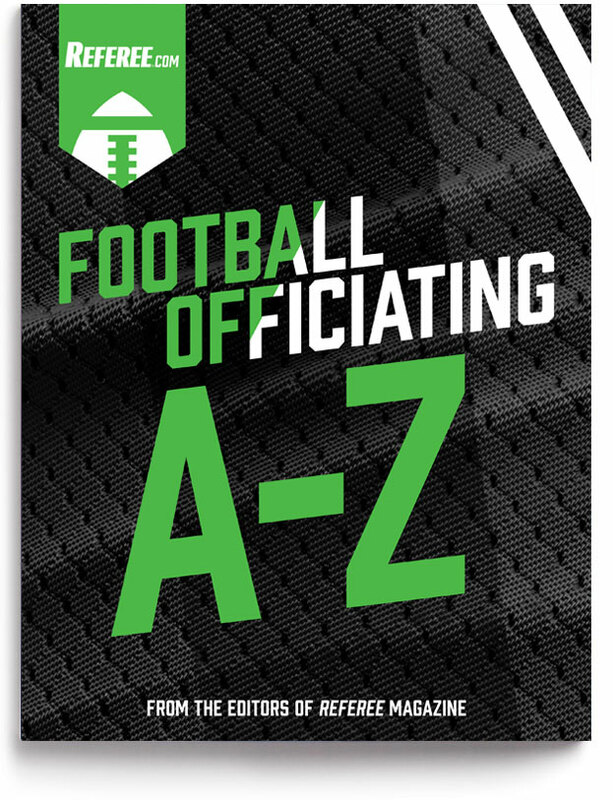 The Football Officiating A to Z Email Series is just enough to get you thinking football weekly, but not so much you forget it the second you’re done reading it. Enter your full name and email address to start Football Officiating A-Z email series and join the Referee.com email list to receive valuable tips and officiating related information. Success! Check your email to confirm your subscription and read the first two letters of the series. We’ve collected some of the best basketball officiating tips & techniques we could find into an email series that’s a great way to get your mind on basketball. Each week for the next 8 weeks we’ll send you basketball officiating tips corresponding to a few letters of the alphabet. Officiating will stay top of mind, but you won’t be overwhelmed. 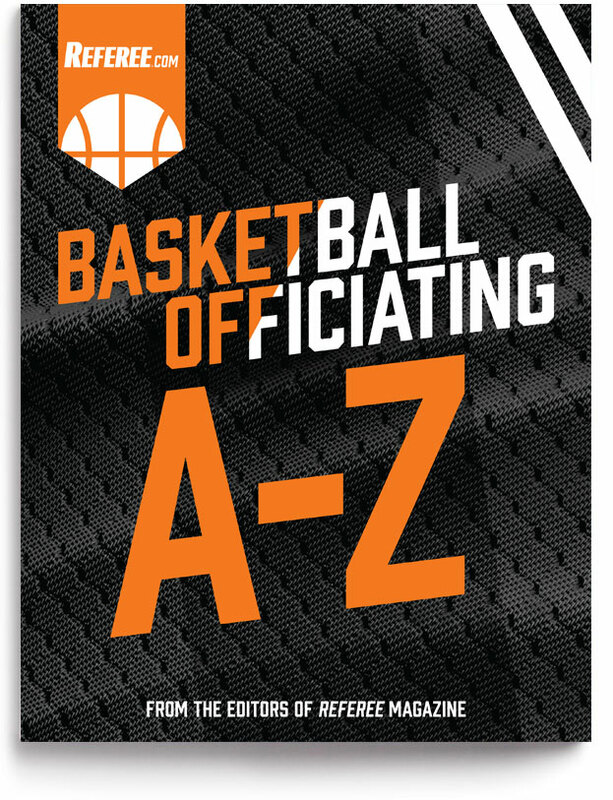 Enter your full name and email address to start Basketball Officiating A-Z email series and join the Referee.com email list to receive valuable tips and officiating related information. 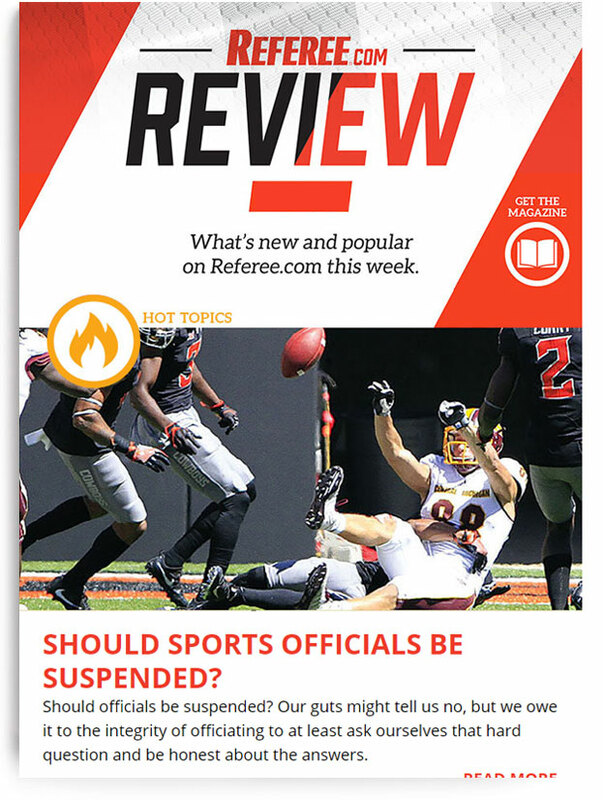 Weekly collection of articles, quizzes, downloads, and more from Referee.com. The best in officiating delivered directly to you.